The finest cinemas of Genesis Technologies are in use in the world’s most exclusive private villa’s and superyachts to meet the wishes of their most discerning owners – they want the very best in terms of aesthetics and functionality, a challenge we take on afresh each day and that drives us to constantly create new and even more impressive innovations. 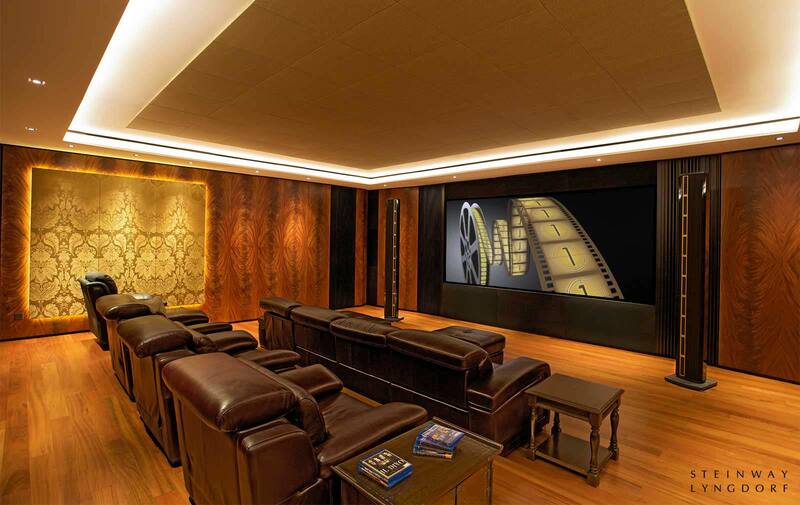 Our range of cinema offerings includes turn-key solutions in all shapes and sizes, yet always tailored to the owners’ specifications. The potential of modern audio-visual technology is only fully unleashed when the finest equipment is selected and engineered to the last detail. This is what marks the difference between a solution that simply looks and sounds quite good or an immensely refined cinema that provides a profoundly impacting experience. Genesis Technologies, with over 20 years of experience, stands out thanks to its extensive understanding of the possibilities and limitations of modern technology. We go beyond questions others do not even think of. For example, what does a perfect ‘mute’ sound like, or, what does a perfect ‘black’ screen look like. We partner only with the very best in the industry in our quest for perfection and with our expertise we supervise our specialist retailers and installers until the project is complete – that is, until all its components have been successfully calibrated. Only then does each cinema receive its much sought-after Genesis Technologies Certificate – a guarantee for an ultimate cinema experience.